My Custom Tailor's mission is to provide a custom tailoring alternative to ill-fitting, off-the-rack clothing for men and women. Company Motto: Provide excellent quality, superior customer service, expert workmanship, and great value. Washington, DC, April 01, 2019 --(PR.com)-- In an era where human rights violations are prevalent and so many companies are cutting corners to save on costs, My Custom Tailor is proud to honor their legacy of following international human rights, conservation, and production standards. Their factory operations strictly adhere to minimum working age laws, and any potentially dangerous jobs, i.e., working with sewing machines and needles, are only undertaken by workers over 30 years of age. As an Equal Opportunity Employer, My Custom Tailor does not discriminate in any form based on Age, Gender, Religion, Nationality, Ethnicity, Political Leanings and Sexual Lifestyle Orientation. They believe in equality for all human kind and in the Human Rights as outlined by United Nations Human Rights Council. When looking for bespoke services, experience and integrity are paramount. My Custom Tailor has 3 generations of experience in creating Business and Formal wear for men and women. During this time, the Company has conscientiously deployed conservation measures to protect the Earth's natural resources so that future generations will inherit a safe and appealing environment. My Custom Tailor follows a policy of recycling wherever possible. Protecting our environment and conserving resources is a prime cultural priority in how My Custom Tailor operates their workshops and showrooms. My Custom Tailor Motto: Provide excellent quality, superior customer service, expert workmanship, and great value. 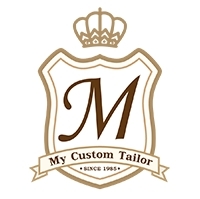 My Custom Tailor: Where Quality & Communication Matters!